COUPLAND, Texas – With the most recent addition to Coupland Volunteer Fire Department’s emergency equipment, a new slip-on unit purchased with help from a grant administered by the Texas A&M Forest Service, the department will have several new capabilities. TFS passes approximately $12.8 million along to volunteer fire departments across the state every year, helping them purchase equipment to better protect lives and property. To learn more about this program visit texasfd.com. This entry was posted in Local Government, WHAT is That?, What's New? 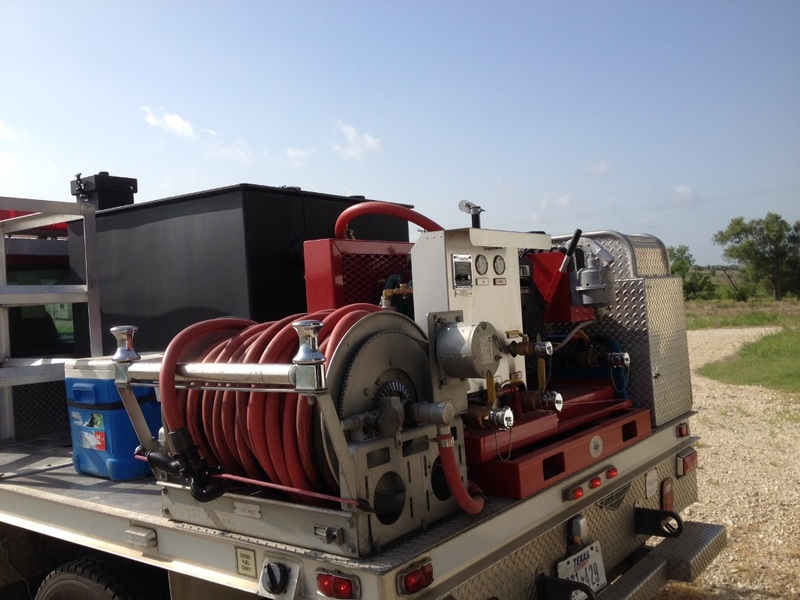 and tagged Coupland Volunteer Fire Department, new foam unit, Texas A&M Forest Service on July 30, 2014 by Stewart Dale Spencer.